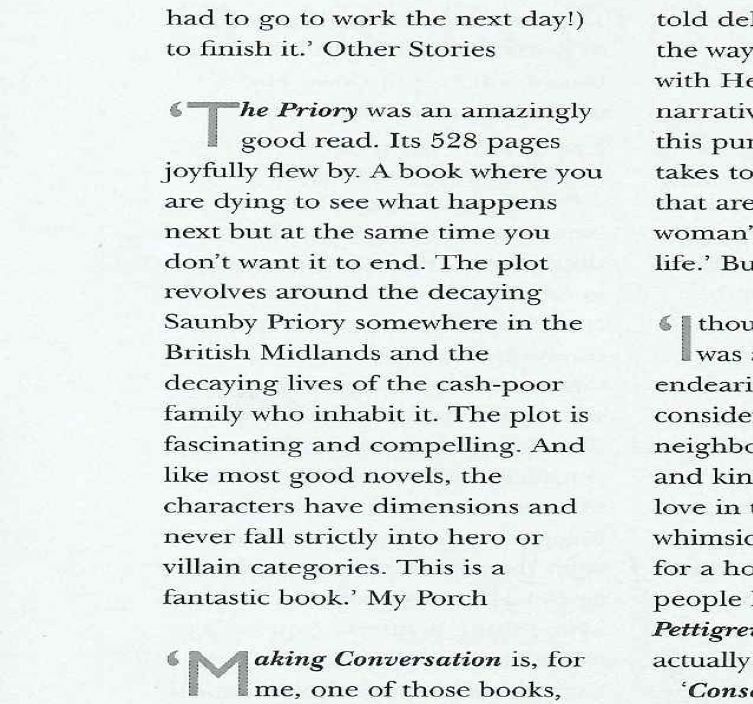 Imagine my surprise when I opened the mail yesterday to see yours truly had his review of Dorothy Whipple’s The Priory quoted in the brand new issue of the Persephone Biannually. I had seen some other folks in the UK blogosphere last week write about how they had been included and I thought wistfully how fun it would be quoted in the Biannually. And boom, this week there it was. What fun. I meant to review The Making of a Marchioness tonight, but work ran late and I barely have the energy to pop out this little self-congratulatory bit of boasting. But after all, if one doesn’t have the energy for that, does one have the energy for life? Congratulations, Matt! How exciting!! I think it is just so cool that your review was included in the biannual! Kudos to you! And I love that pic. Cheers to you! How wonderful Thomas! I don't have the biannually so I don't know who's been quoted. What a nice surprise! Excelent and what good timing! Mrs. B: I don't have it is front of me but I think The Literary Stew is also quoted! Verity: I know, the timing was perfect. Congratulations, Thomas… so exciting!! I just love that picture. Boast away! Some moments call for it and this is one. You must have been thrilled! You had no idea before you saw it? And on Persephone Week at that. Congratulations! OMG, Thomas! I am so sorry! I meant you, Thomas. I swear I must have been asleep when I wrote that. Yikes! Blimey I feel badly. Can't belive I wrote that. Sorry! It is so exciting to be quoted in the Biannually. Congratulations! I am thrilled for you,Thomas! Well-deserved!! Paperbook Reader: That would have been great. I am on a mission to get everyone to buy, or at least read, The Home-Maker. JoAnn: It is a fun picture, but the scanner seems to have distorted it a bit. Frances: No, no idead they were going to include that quote. Nadia: Don't worry about it. You obviously had “Matt” on your mind. Is there something you would like to share…? Bloomsbury Bell and Nan: Thank you. It is pretty fun to be included. It made me smile to see some familiar names when I got my copy yesterday. Congratulations! Congratulations! Very cool and certainly well deserved. I noticed when I first got mine! Well-deserved indeed! It was lovely to see a few “familiar” names this time too. Thomas I have linked to you in my latest post… on further reading I was rather upset to read that the Persephone Book Shop in Kensington Church Street is closing. What a shame. Anyway – well done you, you have every reason to boast! I was quoted once and I was crazy thrilled! Thomas – I just found out that I've been quoted as well! I am so thrilled. I don't have a copy of the biannually so I might use some of your pics of the catalogue. Hope you don't mind. I'll mention in my post that they're your pics and that you've been quoted too. Isn't this so cool? 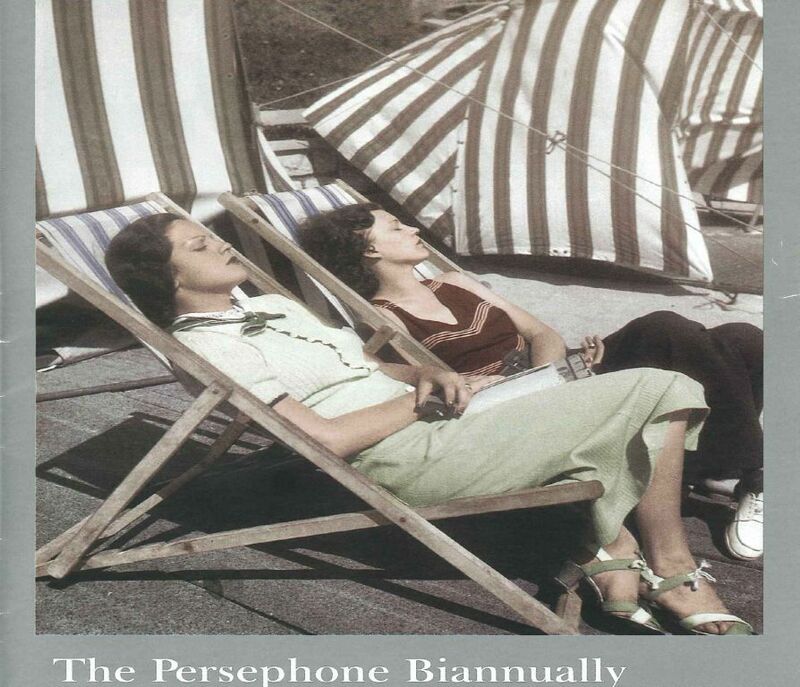 How exciting to be published in the Persephone biannual! Congratulations, Thomas!